Hey everyone! 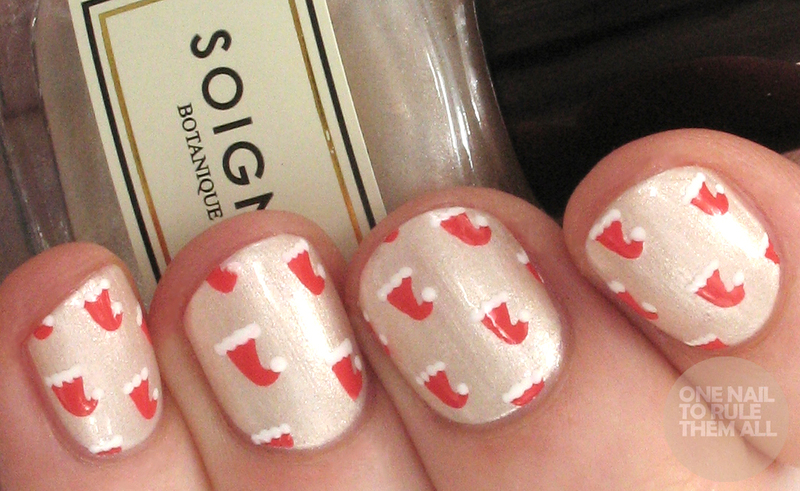 I've got another cute Christmas design to show you, I have so many Christmas nails to post that I'm worried I'm not going to get them all up in time. I'll probably end up posting twice a day nearer Christmas if I'm not careful because I'm always so busy in the evenings. I feel like working full time has taken the magic out of Christmas a little bit because what I'm really looking forward to is 4 days off! Anyway, on to the nails. I was recently sent the Avant Le Lettre* collection by Soigne, a high end brand that were completely new to me. 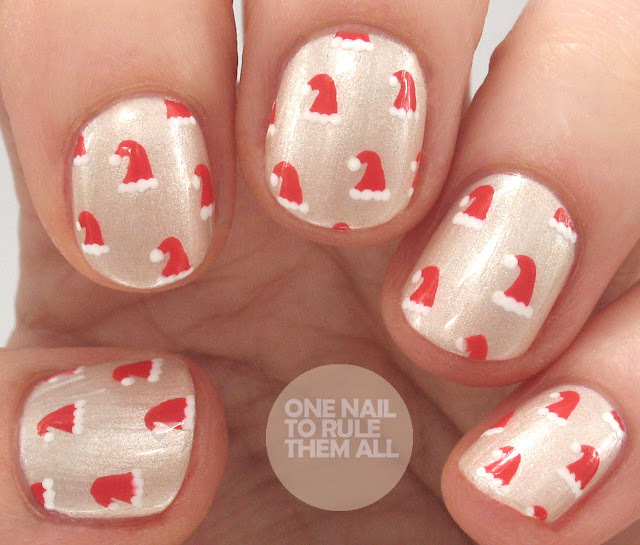 I'll have a full collection review up after Christmas but I wanted to post these santa hats I did using Cherir. * There's currently a 70% off sale on and Cherir is the only one from the collection not sold out so if you want to get your hands on it I would hurry! I wasn't expecting these to be so simple to create but they were super quick, and you can always do slightly bigger ones if you don't like fiddly designs. These are so cute, I wish I had your patience!